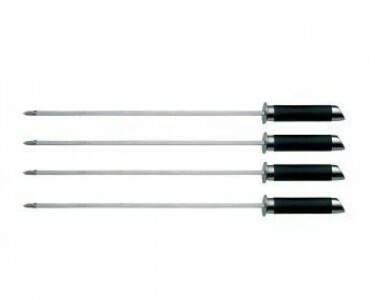 The BergHOFF 4-Piece Shish Kabob Set features four skewers that were precision-forged from high-quality stainless steel for an optimal, long lasting performance. The thermoplastic-rubber (TPR) handles make for easy, comfortable gripping. Quality cookouts begin with purchasing these four shish kabob's skewers.